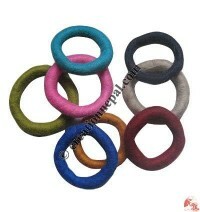 Starting from hippie fashion dreadlocks to modern fashion earrings or fingerings everything are being produced from our vivid color felt wool jewelry in all types of perfect combination of colors and styles. 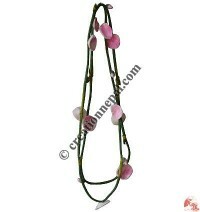 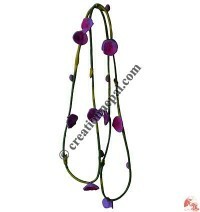 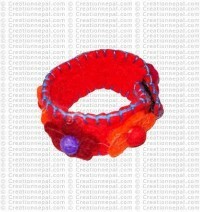 Here we offer different design handmade felt bracelets and necklaces. 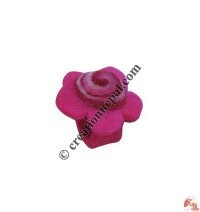 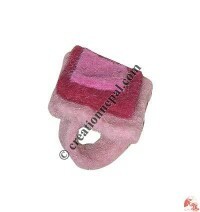 Creation Nepal felt products are not only limited on felt bags, felt hats or felt purses but a wide variety of felt accessories are being made and exported all over the world. 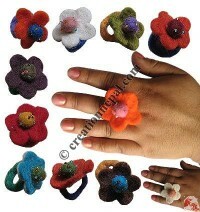 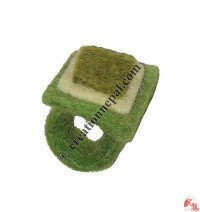 Being a wholesale supplier of different varieties of handmade felt products, we have a wide range of handmade felt jewelry such as felt finger rings, felt necklaces, felt bracelets or felt bangle, felt earrings, felt flower jewelry, felt wool jewelry, felt brooch, felt hair, felt crown, felt hair clip, felt wristband etc. 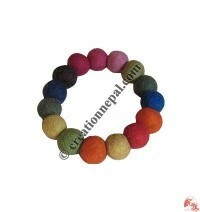 online at great price. 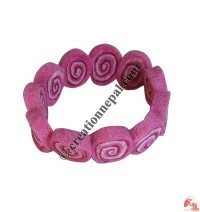 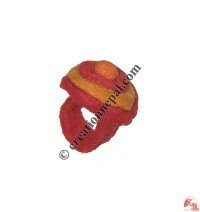 Just imagine the felt jewelry of your own, your idea can come true; Creation Nepal accept custom made orders of felt jewelry. 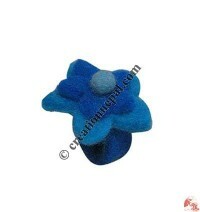 Inquire us for color chart, we work more than 45 felt colors.